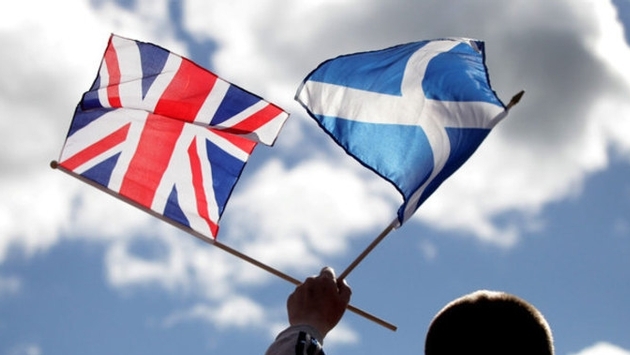 LAS VEGAS -- The vote on Thursday in Scotland for Scottish independence ‘No’ or to stay in the Union ‘Yes,’ was much on the minds of the delegates at the annual Destination Britain marketplace, this year being held at the Cosmopolitan Hotel in Las Vegas. Here in Las Vegas, among these British travel industry delegates and the Anglophile partners they came to meet with, it’s assumed by everyone that odds are no matter who wins on Thursday, Scotland will be left deeply divided on the rocks of something very much like a 51 to 49 split going either way. I asked almost everyone I spoke with what the impact would be on tourism if the vote was Yes. Too early to tell was the lead phrase in almost every answer and at least half of the people I spoke with asked to remain anonymous. No! was the overwhelming sentiment here. Though the meeting was almost uniformly Unionist, the emotional tones in the discussions ranged from rage to sorrow. It’s not a parlor game in the U.K. and Scotland, this debate cuts to the heart of some very proud people. Another anonymous Scot, who was packing up early and flying back to Scotland in order to vote, said there's more to this debate than just a country breaking free. Whether it’s motivated by social, political or national identity impulses, it will surely have some bearing on travel. Here, the sentiment was universal that independence would create a great confusion concerning what Scotland’s currency would be. “It’s something they’re going to have to sort out if they want to go it alone,” said one of many attendees who did not want to be identified. VisitBritain Chairman Chris Rodrigues saw no influence on his ability to attract tourism to his destination. A reporter can never really read with certainty, the subtler emotions of the people he or she is interviewing. Anger and annoyance are as easy to identify sparks and fire in the dark, but I had a real feeling that many of these people felt genuinely hurt by this development. No matter how the vote goes Thursday there will be a sizeable minority of unhappy Scots as well as a painful reawakened rift in the relations between England and Scotland. The Scots have been strong partners in the U.K. since it was formed in 1603, contributing muscle, smarts, industry and ships out of Glasgow to a Great Britain that became the first global empire before returning to its current realm of England, Wales, Scotland and Northern Ireland. It’s hard to imagine the U.K. without them or the Union Jack without St. Andrew’s blue. But no matter how this turns out you can be sure that American travelers will still ride trains from London to Edinburgh and Glasgow.